Sure, there’s no place like Sonoma when it comes to wine -- but Oakland has more to offer than you might think. If you’re short on time or money (or you just don’t fit in with super-snobby wine culture), you don’t actually have to go that far north for good wine. Oakland is currently experiencing an urban winery boom, and these spots are bringing a new flavor to California wine culture. Enjoy quality wines at joints that also personify Oakland’s laid-back, friendly vibe. If your squad is debating who should be the designated driver, just make this trip fun for everyone: many of the new urban wineries are located in former warehouses near Oakland’s Jack London Square, falling along the Oakland Urban Wine Trail -- which makes them easily accessible by public transit, including BART and the ferry. Dashe is Oakland’s largest winery -- and one of the oldest. The Dashes were ahead of the game when they began winemaking in 1996, and opened their winery in 2004. Don’t let their joke of a logo -- which depicts a monkey riding a fish -- fool you; these guys are worth taking seriously. Besides, the animals represent winemakers’ Anne and Michael Dashe’s roots -- the fish symbolizes Anne’s fishing town in her native France, while the monkey references Michael’s hometown of Tarzana (which, you know, sounds like "Tarzan"). Dashe Cellars host some super fun events like blending workshops, their wine garden opening, and an annual paella party. Unsurprisingly, this place is both dog and family friendly. Try their Les Enfants Terrible zinfandel, a light red reminiscent of wines from Anne’s hometown -- or for a luscious, velvety red go with their Todd Brothers Ranch zinfandel, which pairs extremely well with barbecue. This place just makes you want to drink wine and chill. 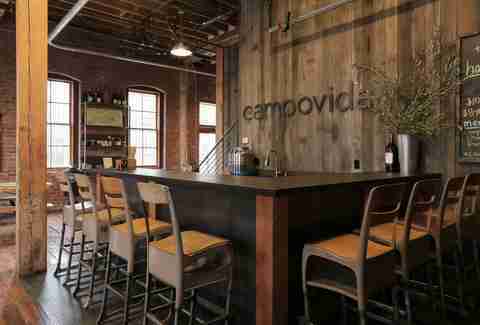 The rustic-chic décor, throwback R&B soundtrack, and exposed brick walls make Campovida (that’s "field of life" in Spanish) equally good for date night or hanging out with with friends. The friendly staff is cool, young, and knowledgeable, and the space hosts unusual-for-a-winery events like live music and yoga classes. These guys aren’t all flair without substance, however: Campovida has scored both gold and double gold medals in the San Francisco Chronicle Wine Competition. Their viognier, the first wine they ever made, is still among their best beloved -- and their sangiovese is delicious. If your reading retention is working, this name should be pretty familiar: Kent Rosenblum, of Rock Wall Wine Company, was also the man behind Rosenblum Cellars, which he opened back in 1978, before selling it in the late aughts. Rosenblum probably should be named RoZINblum since they’re known for their high-rated, award-winning zinfandels (get it??) 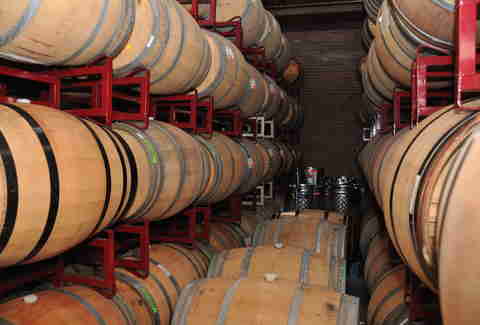 -- they have over 20 types of zinfandels made from wines in some of California’s best vineyards. Urban Legend is the anti-snooty wine culture winery. The BART train passes across the street from their doors, and the casual atmosphere and friendly patrons are welcoming and low-key. Owners Marilee and Steve Shaffer explain that they go for "first rate wine, without first rate pretensions." Their wine list descriptions are a perfect example of their unaffected style; for instance, they call their Cuvee Lola "multi-hued, spicy, and complex" -- in comparing it to their calico cat. Their Vermentino, which they compare to a "sleek, white Lamborghini" is a crisp and flavorful ride on the pallet -- pair it with spicy food. Imagine if your favorite uncle opened a winery -- that’s the atmosphere winemaker Bob Lynch has created at Irish Monkey Cellars. If you’re lucky, you’ll visit on a day when Bob is cheerfully wandering around the winery with a gigantic wine bottle, pouring out samples to customers -- or just stop in during one of his Irish potlucks, where you can sing along to live Irish music. While this place originated in Oakland, it recently moved just 15 miles north from Oakland to Richmond -- still totally worth the trip. Day trip: venture away from Oakland’s wine trail to the island of Alameda and Rock Wall Winery. 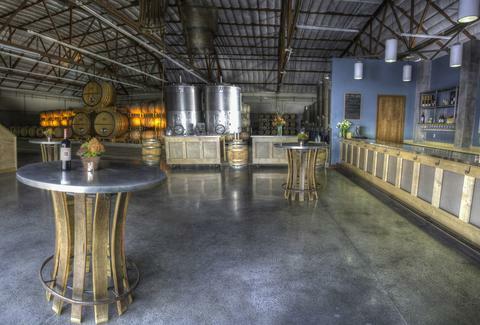 Just take a short drive through the tunnel near Jack London Sq, and head to the island’s former naval base, where winemaker Shauna Rosenblum, along with her father Kent, have converted an old 40,000sqft hangar converted into a winery. 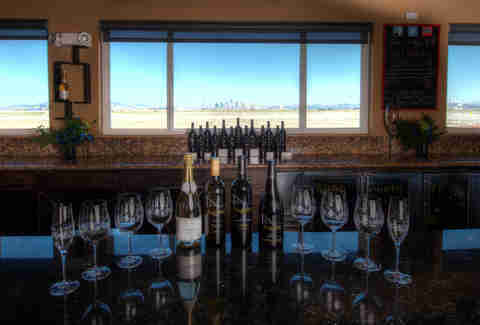 Sip on delicious wines while overlooking a majestic view of the Bay and San Francisco skyline. During warmer weather, the corks are popping -- and so is their Food Truck Frenzy. Dance outside while the DJ spins, then take in your fill of food, drink, and sunset views. Be sure to bring your shades. Jenee Darden is a girly-girl nerd from East Oakland. She took on the hard task of covering wineries, but someone has to do it. Tweet her @cocoafly.